Abandoned Homes: Vietnam Revenge Murders by Frank E. Hopkins looks back at the turmoil, deception, intrigue, and anger of the late sixties and early seventies in this engrossing, hard to put down mystery. It won first place for a mystery/thriller novel in the 2018 Maryland Writers’ Association novel contest. The author dedicates the book, “To those individuals and families whose lives were disrupted, injured or lost in unwise and unnecessary wars.” That statement brought back memories. When the protests against the Vietnam War engulfed the University of Maryland, from which I had graduated just a couple of years before, I lived nearby. We marched and we housed anti-war protestors, but nothing seemed to sway this country’s leadership and that senseless, unwinnable war continued. The story begins on Monday, May 8, 2008, in Delaware. Paul O’Hare is investigating and photographing abandoned houses. He plans to write a book with photos on southern Delaware’s declining number of small private farms. When he falls through the rotten floorboards into the crawl space under one of the houses, he finds two long-decayed skeletons. He suffers a black widow spider bite in the fall, which he later learns exposed him to the deadly hantavirus. He calls the Delaware State Police who send Detective Margaret Hoffman, Homicide Unit, to the scene to investigate. The novel then becomes a police procedural as Hoffman, the other police officers, and O’Hare work together to track down the killers. As they study missing persons reports, they identify the victims as among those studying politics and economics as graduate students in the 1990s in a list with an unusual number of students missing or murdered. On the list is Paul O’Hare who now becomes a suspect as he develops a romantic relationship with Detective O’Hare. When the murderers are finally tracked down, they are out of reach of the authorities, and one brutal murderer is never discovered. Still, it is a thought-provoking, exciting read. Many of the locations in this book are easily recognizable to readers in the Mid-Atlantic area. The author, Frank E. Hopkins, writes realistic crime novels and short stories involving social and political issues. 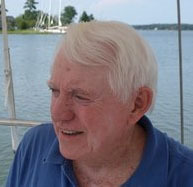 He attended Hofstra University in the 1960s and later as a consultant, he managed proposals in responses to Federal government solicitations. His novel, Unplanned Choices, takes on illegal abortion and murder. People today don’t remember that when abortions were illegal, they were done by criminals, resulting in dead and dying women being found in motel rooms or dumped on hospital grounds. The Opportunity is a story of crime in the federal government.